Last Chance to Order NYDP Composition Bodies, Molds, Porcelain Slip and China Paints at the 10% Discount!!!! The final days have arrived for the 10% discount sale on New York Doll Products (Seeley’s) Composition Bodies, Molds, Porcelain Slip, and China Paints. Sale prices are only good on orders placed through Land of Oz Dolls. Sale ends at midnight, Friday, February 6th. Inquiries and orders must be sent to landofozdolls@mchsi.com by midnight, Friday night. My distributorship ends on Sunday, February 8th, so I will be removing the NYDP porcelain slip and composition body pages from my website this weekend. 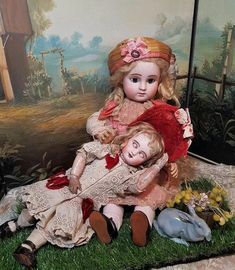 I am also a distributor for The Bell Collection and Collectible Doll Co., so will be concentrating on these companies and will be happy to continue to serve my customers with Bell and Collectible doll products, such as porcelain slip, doll molds, doll bodies, china paints, brushes, etc. I will also be adding pages to my website for composition bodies made from Compo-Bell we will be manufacturing ourselves. 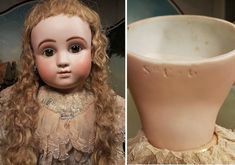 Bodies may also be ordered in porcelain, in both SFGW and bisque. We have many, many sizes of antique reproduction body molds in French, German, Baby, Toddler, and Lady styles that will be available in both painted and unpainted pieces poured in Compo-Bell. Body parts may be purchased unstrung and you can string yourself. Ordering the parts and stringing them yourself will reduce shipping prices as the boxes used to ship can be smaller, which in turn will reduce shipping costs. Most shipping companies have now gone to dimensional rates instead of rates determined by weight for packages that don’t weigh a lot. Please let me know if there is anything I can help you with or if you have any questions. Please contact me at landofozdolls@mchsi.com or phone 815-565-0024. Thanks! Welcome to my new Modern Doll Soft-fired Greenware Catalog. This will be a very long process adding all of the modern doll molds to this catalog, I have hundreds of molds for modern dolls. I am sure many of you know back in May of 2012, we lost our 33 year doll mold collection to a storage unit fire. I have been able to replace many of the molds I originally had, but that has left my old catalog useless as many of the molds are not the same, so I am having to start from scratch with the catalog. Soft-fired greenware are the greenware pieces taken from the mold and fired to cone 019, to make for easier cleaning and safer shipping. All SFGW dolls still need to be cleaned, fired to a true cone 6, painted and assembled. I am beginning with The Doll Artworks molds and will work on other companies as time allows. 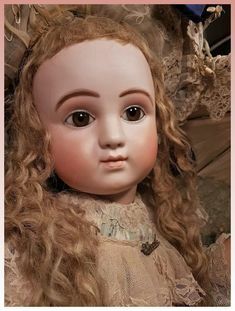 If you see any dolls you would like to order or have questions about the availibility of other dolls, please feel free to contact me. 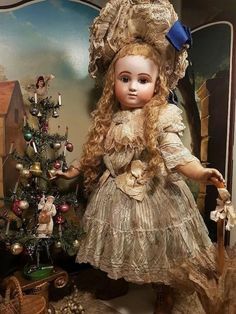 I will be adding Paypal buttons eventually for all dolls, but until then, you may contact me with your order, and I can send you a Paypal invoice. I do ship world-wide, and all dolls are packed securely with bubble wrap and packing peanuts in sturdy boxes with the utmost of care. Dolls are also available in blank bisque, ready for china painting. Just ask for blank bisque prices on particular dolls if you are interested. 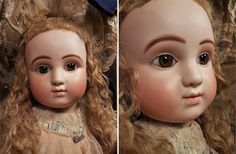 Please check our “Doll-making Videos and Workbooks” page for complete instructions on SFGW cleaning. Minimum order is 4 – 1 gallon jugs shipped in one carton. However, each gallon jug may be a different color. Discover the Porcelain Slip Revolutionizing the Industry. Ease of Casting – Gold Marque Slip is designed for trouble-free, high volume casting. It produces virtually no cracking, even in the most detailed and troublesome molds. Ease of Cleaning – Greenware cast from Gold Marque Porcelain Slip is very easy to clean using the wet or dry methods. The problem of reoccurring seamlines is virtually eliminated. Clean Bisque – We run Gold Marque Slip through a high-tech filtering system to make it the cleanest, speck-free porcelain in the industry. Greenware & Fired Strength – Gold Marque Porcelain Slip is formulated to provide greenware and bisque fired strength superior to competitive brands. Bisque Finish – Gold Marque Slip not only has the best casting qualities, but its bisque finish meets the standard set by Bell’s White Orchid Porcelain, giving you the best bisque finish on the market. It has a velvety finish that perfectly complements the smooth application of Bell’s Dry, Premixed, or Lead Free China Paints. CompoBell CS1000 is also available for purchase at $34.50 per gallon.